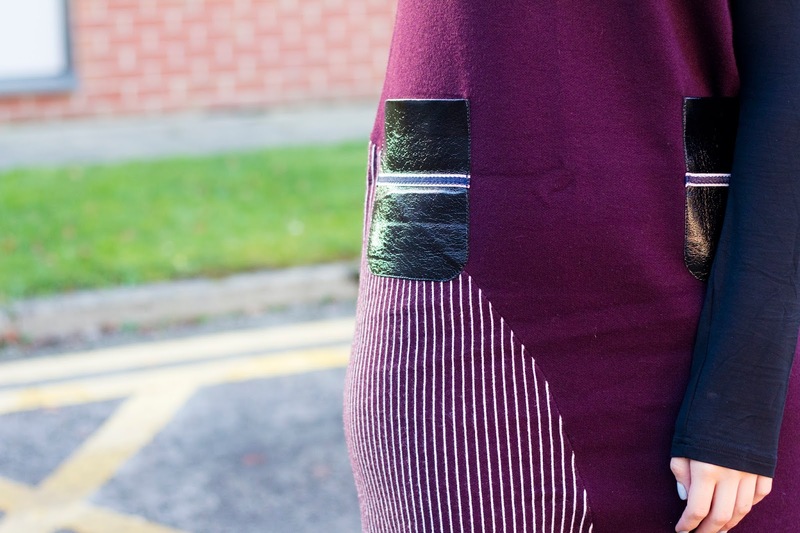 After a pretty chilled weekend finishing off my Christmas shopping and taking photos for the blog, i'm super happy to be back with another outfit post for you guys! I've been brainstorming a few ideas of Christmas posts instead of doing post after post of outfits, so get ready for some new & interesting content coming really soon! Today's outfit is a dressy winter outfit that would be perfect for Saturday night drinks with friends, or a meal with the family. I've fully commited to Winter now... we're past the stage where you could go out with a long sleeve dress on for a night out and be fine. 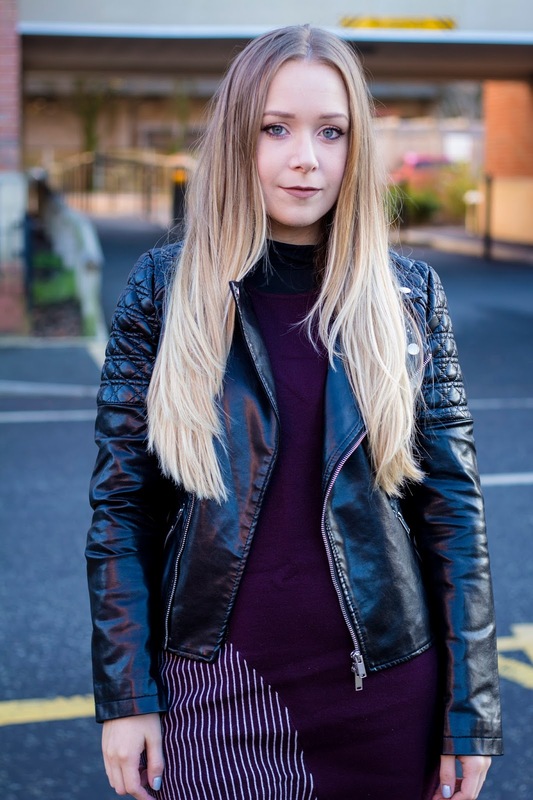 So a perfect dressy layer in my opinion is the leather jacket! 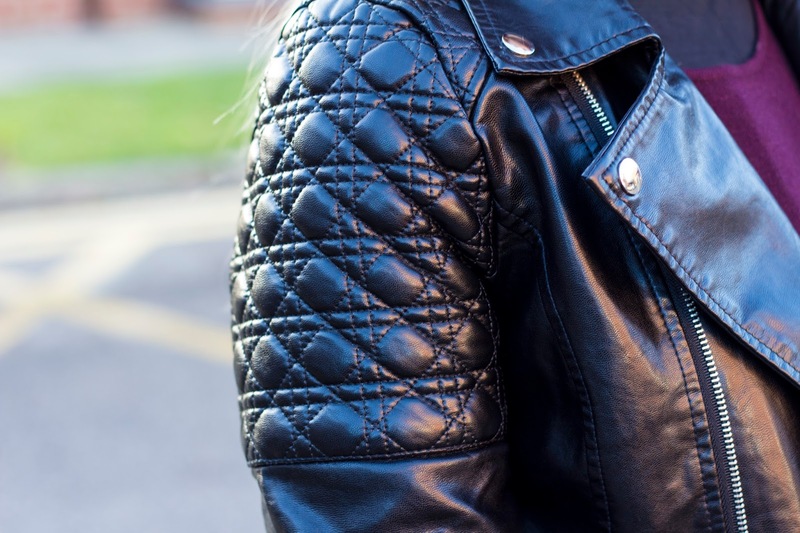 I picked up this pretty amazing quilted version from Brenda Shop recently and love how the quilted shoulders and super shiny leather make it more of a dressy jacket than my other bikers from Topshop. It's super affordable, and paired with this super cosy jumper dress from DressFo, they're a match made in heaven! The longer length of this dress and the fact that I paired it with a long sleeve tee means it's weather appropriate, but I also love the fact that this dress can be worn casual too with black tights brogues for a weekend shopping trip. What Christmas posts would you like to see from me? Let me know below!